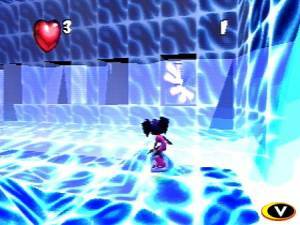 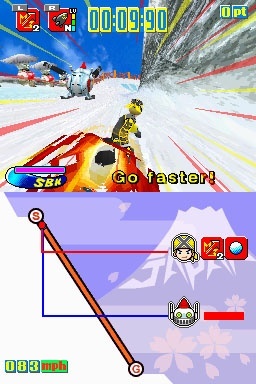 In iStunt the player controls a snowboarder, helping him to get to the finish of the level. 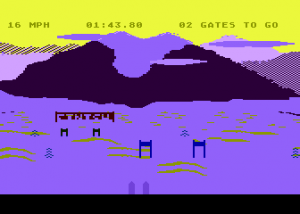 In-between are hills, slopes, half-pipes, gabs and other more or less dangerous obstacles the player has to navigate while scoring additional points by making stunts. 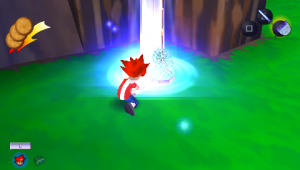 More points are earned by collecting gold stars hanging around the levels. 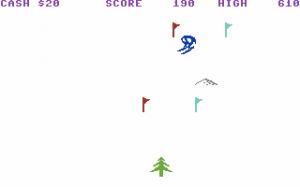 The player can force the snowboarder to increase speed by holding him down with his finger, make him jump by sliding over the screen and tilt the device to produce back and frontflips. 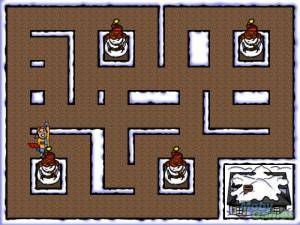 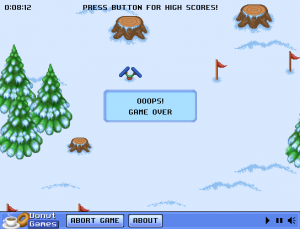 If the snowboarder lands on his head, falls down a hole or is killed by saw blades, the game is over and it restarts at the last checkpoint.